Workshops can have up to 20 students. $10 per student over 20. $500 -Lectures include quilts and stories from all of my books. The sponsor is responsible for all travel expense, including travel to and from the Indianapolis airport, parking at the airport, lodging in a single non-smoking hotel room (for all seminars or symposiums with no added expense to presenter) and meals. I will drive if within 200 miles at current IRS allowed mileage. 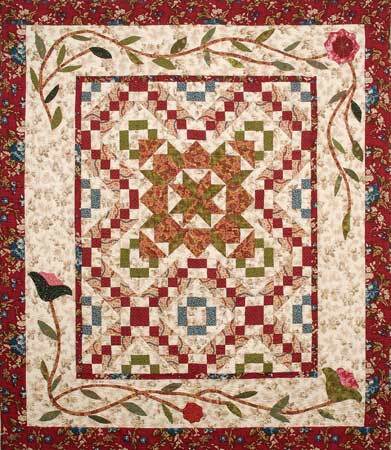 This fun setting for a Betsy Ross Sampler will become one of your favorites using 6” and 12” blocks. This is a great place to use all of your scraps and also to play with settings. We will also chat about Betsy Ross and her many contributions. 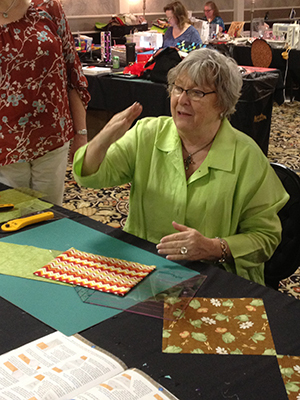 A fun new class using the fabrics from the 40's or 50's (or any fabric you like) making simple and fun, easy projects. You can choose from anything in the book and use any fabrics. Lots and lots of nifty techniques using specialty rulers to make your work simpler!! 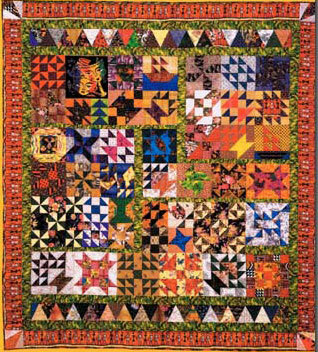 An in-depth look into this period of our history students will learn about women's contributions during the war, quilt patterns from this era, fabrics used in the quilts and even delve into poetry and music of this era. A class for everyone who yearns to know more about this tragic time in our history and what forces pitted brother against brother. A rewarding class for all skill levels. REQUIRED BOOK: A Civil War Legacy which includes, songs, poems and 12 blocks from this period. 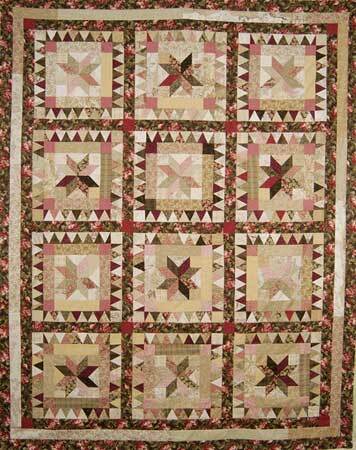 This class is based on the book which includes 24 six inch blocks and 12 twelve inch blocks. A wide variety of techniques will be explored as you choose the blocks you want to piece. Many setting options will be available. 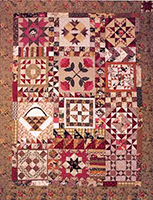 Working from the book Journey to Jericho you will plan and begin work on your own design for this cherished quilt. Working with 12 blocks inspired by Bible stories, applique designs and smart piecing tips along the way, this will be an informative and exciting project. Using specialty rulers you will make quick work of those pesky fan blades, plates, tumblers and much much more. A great stash buster as well as having a super time. You will need to use special rulers for this class. Students 45 patterns utilizing many different setting designs. 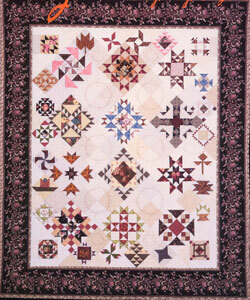 The class explores different ways to combine blocks and techniques to improve piecing skills. Primary focus is on designing with scraps. Students should leave class with a more relaxed attitude about combining fabrics. A definite confidence builder for beginners and great fun for more advance piecers. I recommend cutting strips to share as most quilters stash represent their favorite colors and therefore limits their scrap study. 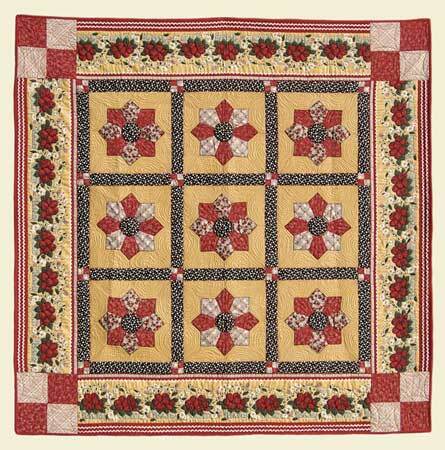 This beautiful quilt was designed for McCall's to celebrate those touched by breast cancer. 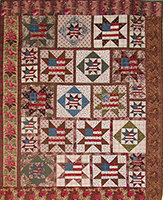 The entire quilt is made from 2 1/2" strips utilizing four specialty rulers. A fun easy workshop for all skill levels.